In its relentless commitment to fully address the evolving needs of the local IT community and provide its valued partners with solutions that command business growth, profitability, and stability, MSI-ECS today announced the newest addition to their wide array of products – 3D printers. 3D printers have become competitive in the recent years, allowing its popularity to rise and become known to deliver out-of-the-box solutions. Since its introduction, it has benefited various industries, small and big companies alike, by speeding up the process of creating prototypes. Some industries that have tapped 3D printing technology include architecture, aeronautics, medical, food industry, mechanical, robotics, retails and even fashion. This new technology offers many applications such as prototyping, low-volume manufacturing, mechanical parts production, biomedical and design. It provides innovative ways in manufacturing almost anything and has ultimately signaled a change in the way we run our businesses today and what’s to come in the future. What exactly can businesses benefit from 3D printers? Whether your aim is to catch your potential customer’s attention, to utilize it for rapid product prototyping or even for personal use, the benefits are endless and can only be hindered by one’s own imagination. 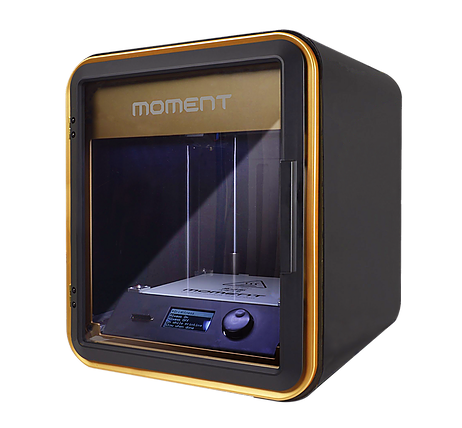 MSI-ECS currently distributes Moment and Mobius 3D printers. To schedule a demo, you may contact MSI-ECS at (02) 688-3512 or email inquiry@msi-ecs.com.ph.